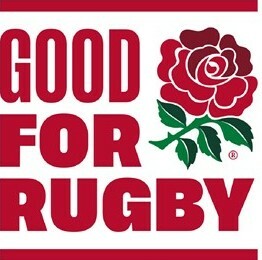 The Rugby Football Union (RFU) has launched a new consumer protection strategy including a new “Good for Rugby” mark to enable fans and customers to easily identify official England Rugby products and services, including tickets, merchandise and hospitality. The introduction of the Good For Rugby mark will provide a clear visual identifier and ensure customers have absolute faith that they are buying from a trusted and authentic source. “This is part of the RFU’s ongoing efforts to protect rugby fans from purchasing counterfeit merchandise or falling victim to rogue traders selling unofficial tickets or hospitality," said Steve Brown, RFU Chief Executive Officer. "Watching England play at Twickenham Stadium is a special experience and we value all fans who come to support our teams. We are urging fans not to risk their money or potentially being refused entry by using either unauthorised re-selling platforms or buying tickets and hospitality through unofficial means. Profits generated by the RFU go directly into upgrading facilities and rugby clubs around the country, providing coaches, developing the next generation of players, rewarding volunteers, building artificial grass pitches and ultimately supporting the England teams at all levels. Safeguarding consumer purchases protects the investment the RFU is able to make in rugby at all levels. The RFU continues to work with other event owners and central government to share best practice and intelligence, while proactively monitoring the unofficial and re-sale market for sales that contradict ticket terms and conditions. The RFU is currently working with the Competitions and Markets Authority on its legal action against the secondary tickets site Viagogo. Consumers purchasing from these sellers and platforms, often at inflated prices, run the risk that their tickets will not be accepted and may be cancelled. To improve the match day hospitality experience for fans the RFU has launched England Rugby Hospitality, in partnership with Keith Prowse, which is the only seller of hospitality in Twickenham’s new East Stand for England internationals. The introduction of England Rugby Hospitality marks a change in the way hospitality can be purchased, simplifying and improving the experience for customers by replacing the significant variations in price and quality of products that were sold by a variety of different hospitality agents. The RFU has taken successful legal action in the High Court in respect of unofficial hospitality sellers that continue to operate, indicating that it will play an active role in the policing of the market. However, there continues to be a number of unofficial websites, with no link to the RFU, purporting to sell tickets and hospitality at Twickenham Stadium for England internationals. Fans should look for the Good for Rugby mark to protect themselves and know that they are purchasing official hospitality. The RFU has also worked closely with trading standards around match day and online retail activity, taking action when appropriate. Consumers will now see the Good For Rugby mark on official websites including the England Rugby Hospitality, ticketing and online store. The England Rugby Ticket site includes a ticket exchange where tickets can be officially resold to other England Rugby fans and refunds issued to the original purchaser, once resold. Access to watch England at Twickenham is in high demand and at the very core of the RFU’s constitution is the commitment to reward those that play, support and volunteer in rugby week in and week out. At least 50% of the stadium’s 82,000 tickets for every international game are sold directly to the clubs, Constituent Bodies, Referee Societies, universities, colleges and schools that in turn grow and develop the game.